The quality of both the your CV writing/resume writing is instrumental in the success of your application. This is why so many people turn to a professional resume writer/CV writer, for CV writing help. This helps to make sure they have a strong document that is going to make a positive and lasting impression. When you apply for a job you should always try to tailor your CV toward the role you are applying for, try using keywords that you have highlighted in the job and person specifications supplied. This will unfortunately, mean slightly re-writing your CV for each job you wish to apply for, however, it will show your motivation and passion to be successful in your application. Remember that there are a lot of applicants for only one role, the job market, especially now, is flooded with unemployed people looking for work, some of which are well-educated and well experienced. The employer, therefore, will have lots of CV and cover letters to read and as a result the applicants may all start to merge into one, except those that have stood out for some reason. Of course, this doesn’t mean add glitter and perfume and go over the top, but adding a very subtle patterned background to your CV or a photograph of yourself (a head shot…nothing else) can make all the difference in the employer remembering you. Personal Information: Name and contact details. Personal Statement: A short piece that introduces you, your aspirations and highlighting that you are the ideal candidate to fill the vacancy. Key Skills: This section is the one you can tailor towards a particular job the most. Note in this section the key skills that you have, in particular the ones that the employer are looking for. Work Experience Information: Starting with your most recent role, list all the job’s that you have had, your job title, the company you worked for and your key responsibilities. Qualifications: Starting with your most recent qualification, list all of your achievements, the institute through which you achieved them and the grades that you received. Other Headings: Other things you might want to include are: IT skills, Languages, Hobbies, Research , Volunteer Work, Publications, Other Training. Whenever you are applying for a job, always be truthful, don’t say you have skills or experience that you don’t. It would be extremely embarrassing if it were found that you elaborated the truth, furthermore even if you got the job, could you actually do it? 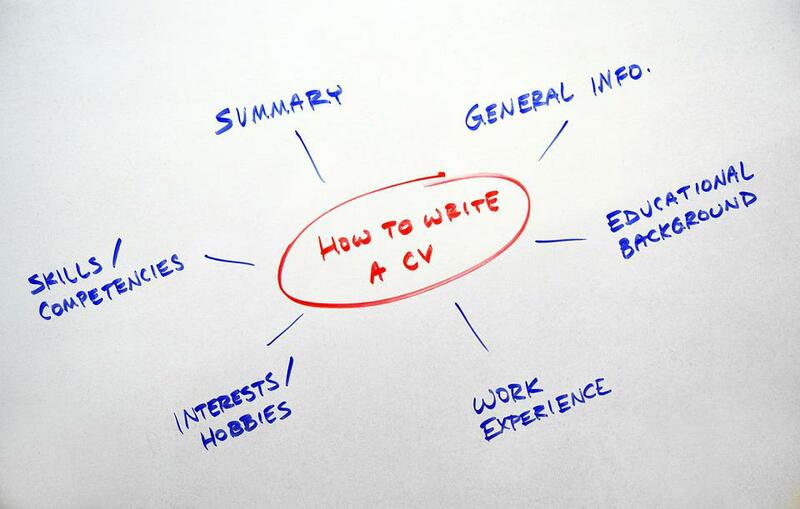 Your CV writing and resume writing should be perfect. It should be grammatically correct with punctuation marks in the correct places, it must have accurate spelling and it must avoid being too generic (using common phrases like…I am a hard worker). These are some of the many tips, see more from Monster.com. You may be weeks into your job hunt, you may be months into it, regardless of how long you have been looking for a job, don’t give up hope, always update your CV when applying for a new role and be sure to pay attention to detail, proof reading your cover letter and CV before sending it to the employer. If, after some time, you find you still aren’t having any joy on the job hunt front, perhaps consider contacting one of the professional writing services and asking them to at least critique your CV for you, to provide you feedback on how you might improve it.